Cameras – one of the ultimate talking points when it comes to smartphone reviews. Some are great, some are terrible, and some try to recreate the category all together with marketing speak. The HTC One (M8) falls into that category, thanks to the UltraPixel technology that HTC has used for the 2nd year in a row on their flagship phone. UltraPixel or Megapixel, though, the camera on this phone has some great qualities that we would argue may help it stand above the latest from Samsung, the Galaxy S5. Before we dive into this, we should point out that we made it clear in our review (and this opinion piece) that we aren’t personally fans of 4MP photos, which is the resolution of the photos that the M8 takes, but we also can admit that the One (M8) is capable of taking perfectly good photos at that 4MP resolution. In other words, if you don’t need photos that can be printed or edited or zoomed, then the camera on the M8 is actually quite good. But if you say “quite good,” does that mean it’s good for HTC standards or is it as good as what Samsung has been able to produce with its latest 16MP shooter in the Galaxy S5? Well, they have their strengths and weaknesses, that’s for sure. I actually can’t say definitively which camera I like better at this point, but as we ready our GS5 review, there are some things that I am starting to miss about the M8’s camera. 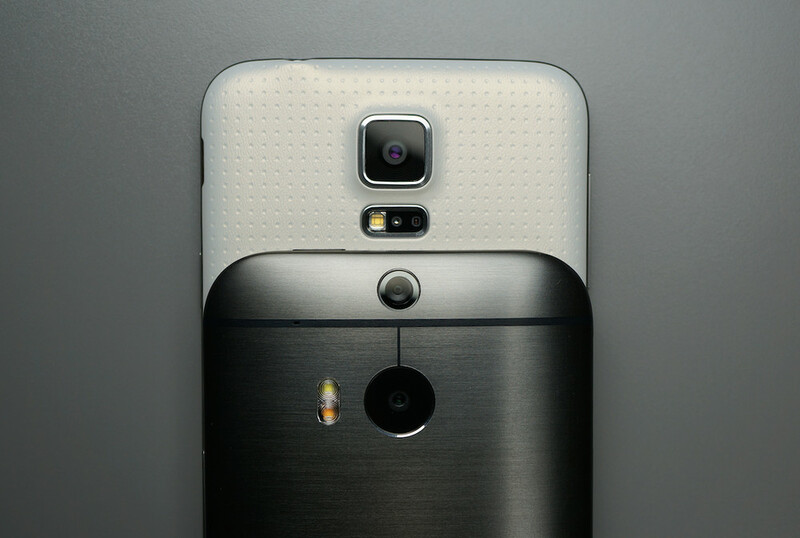 So, here are 5 things that I believe make the HTC One (M8) camera better than the 16MP camera on the Galaxy S5. Zoe: HTC brought back one of the best camera features of the original One when they re-introduced Zoes to the One (M8). For those new, Zoe is a camera mode that allows you to snap 3-second or longer videos that are then displayed in your gallery as either broken-out, frame-by-frame stills or as a video clip. It’s great for action shots or times when you need the perfect single frame, but may not be able to get it by snapping photos, one at a time. UFocus: This is HTC’s photo editing mode that allows you to refocus photos after the fact. We were actually pretty critical of the implementation of this feature during the review, but if HTC can somehow fine tune it, UFocus could be better at re-focusing than anyone else who is trying something similar. Samsung has a similar mode in their camera, but it only works with if you tell it to work (“Selective Focus” mode). HTC’s works all the time, with no special mode. Better Selfies: With a 5MP front-facing camera, how can you not want to spam off selfies to your favorite social networks? Most cameras these days include a 2MP front shooter, so HTC is clearly taking the lead in the category here. Camera UI: The camera UI on the One (M8) is simple, so that you can focus on taking great photos. But if you need to manually tweak settings, change modes, or apply a filter, you can do so with one or two taps. Saving a custom camera setup: For the advanced photogs in the building, you’ll love how the One (M8) allows you to save custom camera setups. If you have a camera setup tweaked specifically for a location or lighting arrangement, you can actually save all of those settings in a custom camera. I’m not sure how many HTC lets you create, but it’s enough to give you special camera setups for a while. Update: Here is the other side of the coin – 5 reasons the Galaxy S5 camera is better than the One (M8)’s. HTC USA President Says Sense 6 Coming to HTC One (M7) By "End of May"